Consider all of these ingredients when developing a disease management plan. Know the pathogen. Learn about, scout for and diagnose diseases on your crops. Exclude the pathogen; don't let it arrive on your farm. Don't bring in diseased transplants or seed. Don't grow your crop in the vicinity of other diseased fields to prevent wind or rain dispersal of the pathogen. Don't bring the pathogen in from other fields on people or equipment. Know which seedborne pathogens are important to your crop and prevalent in your region, and ensure, through communication with your seed supplier or contractor, that the seed you are planting has been tested to be pathogen-free or has been preventatively treated. Avoid the pathogen. Don't plant your crop in a field that contains the pathogen, for example, a soil that contains inoculum of Verticillium or Sclerotinia. Practice appropriate crop rotation to reduce the amount of inoculum in the field before again planting a susceptible crop. Some soilborne pathogens affect more than one crop, e.g., the fungus that causes Verticillium wilt of spinach can also infect potato, so it is important to avoid growing other crops in the rotation that may be alternative hosts to soilborne pathogens. While most soilborne diseases can be managed with a 3-5 year rotation, this is not true for some very important seed crop diseases. For example, a rotation of 6 to 15 years, depending on the susceptibility of the spinach cultivar, is required to control Fusarium wilt in spinach seed crops. Eradicate the pathogen. Destroy diseased crop residues, cull piles, and alternate hosts to the pathogen. Scout fields regularly for early symptoms of disease development. If feasible, rogue the symptomatic plants, and remove them from the field. Treat seeds for the pathogen. Treat seed with hot water or other organic treatments to eliminate the pathogen (Miller and Ivey, 2005; see Frank Morton's stove-top method below). Seeds contaminated with a pathogen can be treated physically (e.g. hot water), or chemically (e.g. bleach) to destroy inoculum or reduce the incidence of infection. Some physical and chemical treatments may reduce seed quality (germination, vigor, and/or longevity), so it may be important to test a particular seed treatment on a small sample of seed and check for possible damage to the seed before treating an entire seed lot. Hot water treatment can be used only on some crops, such as brassicas, carrots, tomatoes, peppers, and lettuce. Even on those crops very precise parameters must be followed to avoid damaging the seed. When possible, planting pathogen-free seed is alway preferable to trying to eradicate a pathogen from seed. Use a double-boiler to maintain water temperature. Use bags made from nylon stockings to contain seeds during treatment. Continue stirring throughout the treatment to maintain uniform water temperature. Plunge heat-treated seed directly into cool water at the end of the specified heating time. First dry seed-filled nylon bags on bath towels to remove excess water. Quick dry seeds on trays in bright airy location. If the seed is for immediate planting, there is no need to fully dry the seed. Heat treated seed is fully imbibed at the end of the treatment, and may be sown as soon as it is dry enough to flow in a singulated manner. Germination occurs rapidly thereafter. Hot water treatment shortens seed storage life, and may reduce germination rates in weak seed lots. Our experience with fresh seed is that there is no loss of germination or vigor in the short term. Treat only the quantity of seed needed for a six month supply. Therapy (see above). 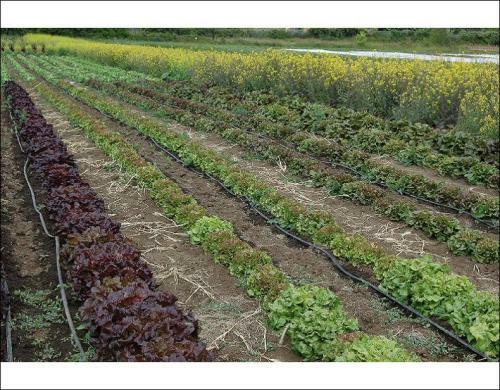 Strict management of, and screening for, seedborne pathogens of vegetable crops is critical for maintainence of high seed quality. Low levels of contaminated seed can cause epidemics of some diseases when infected seed is planted. For example, the tolerance level for contamination of crucifer seed with the causal agent of black rot, Xanthomonas campestris pv. campestris, is one contaminated seed in 10,000 to 50,000 seeds, depending on the market or country in which the seed will be distributed. This level is as important when obtaining the seed lot to grow out as it is when selling a seed lot. Typically, it is the seed company's responsibility to screen seed lots for pathogens before sale. All diagnostic laboratory results should be communicated to the seed grower. Commercial seed health tests are not available for all seedborne pathogens, particularly specialty crops grown on a small scale, and for which there has been limited seedborne pathogen research. Host resistance. Select resistant cultivars. When available, this is the easiest and most reliable method to control seedborne plant diseases. Many seed catalogs and extension publications provide information on resistance and susceptibility of specific cultivars to common diseases. Protection. Paint materials on a plant to reduce the success of the pathogen and slow down disease progress (for example, apply copper or sulfur). Organic farmers must describe in their organic system plan their rationale for applying a pest control material. Communicate with your certifier to ensure any materials applied to crops for disease control are permitted for use on organic farms. Always ensure that the product is labeled for the crop and disease of concern. 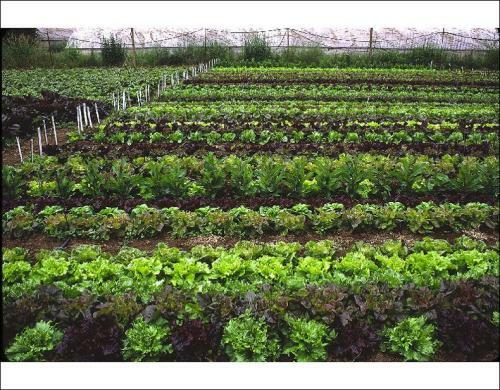 See related article Can I Use this Product for Disease Management on my Organic Farm? There are a number of biological and natural disease management products on the market that are approved for organic production, but their efficacy is not well documented and it may vary by site. This is a reflection of the complexity of soil - climate systems. Avoid environmental conditions that promote infection and disease development. Use drip irrigation or only irrigate early in the morning. Plants wetted in the morning will dry quckly in the afternoon sun, reducing the length of time that leaves remain wet. During the summer, most pathogens require 8 to 12 hours of wetness to initiate an infection. Weed your field and stake your plants to improve air flow through the canopy. Good airflow speeds drying of the canopy and reduces the length of wet leaf conditions. Plant your crop earlier or later in the season to avoid weather conditions that encourage disease development. Grow your crop in high tunnels to control environmental variables. Use geotextile fabric to keep plant materials dry as seeds mature. See Weather-Related Risk Guidelines for Dry-Seeded Specialty Seed Crops (referenced below) for more information. Know which seedborne pathogens are important to your crop and prevalent in your region, and ensure, through communication with your seed supplier or contractor, that the seed you are planting has been tested to be pathogen-free or has been preventatively treated. Learn to diagnose and manage diseases of each crop grown. Scout fields regularly for early disease symptoms. If feasible, rogue the symptomatic plants, and remove them from the field. Design and manage the cropping system to minimize the likelihood of disease development. Describe the need for any disease control materials applied to your crop in your organic system plan. Communicate with your certifier to ensure that these materials are permitted, and that the product is labeled for the crop and disease in question. Screening seed lots for seedborne pathogens is the responsibility of the seed company and should take place prior to sale. All diagnostic laboratory results should be communicated to the grower. Commercial seed health tests are not available for all seedborne pathogens, particularly for specialty crops grown on a small scale, and for which there has been limited seedborne pathogen research. Hot water and chlorine treatment of vegetable seeds to eradicate bacterial plant pathogens [Online]. S. Miller and M. L. Ivey, 2005. Ohio State University Extension Bulletin HYG-3085-05. Available at: http://ohioline.osu.edu/hyg-fact/3000/3085.html (verified 10 March 2010). Hot water treatment of vegetable seeds to eradicate bacterial plant pathogens in organic production systems [Online]. S. Miller and M. L. Ivey, 2005. Ohio State Extension Bulletin HYG-3086-05. Available at: http://ohioline.osu.edu/hyg-fact/3000/pdf/3086.pdf (verified 10 March 2010). Knott's handbook for vegetable growers. 4th Edition. D.N. Maynard and G.J. Hochmuth. 1997. Wiley and Sons. New York, NY. Weather-related risk guidelines for dry-seeded specialty seed crops [Online]. M. Colley, M. Dillon, and F. Morton. 2006. Organic Seed Alliance. Available at: http://www.seedalliance.org/uploads/pdf/weatherrelatedriskguidelines.pdf (verified 10 March 2010).